We begin to be used to seeing unmanned vehicles. More and more markets and areas are joining the trends of the UAVS: aerospace, agriculture, cinematography, photography, construction ... are just some of the branches that have already echoed the benefits of this type of vehicle. Size: compact UAVs are searched but without giving up functionality. This aspect is in line with the platforms, since they grow in functionality but reduce their size. Weight. Something very obvious in this type of vehicle is the importance of building something light and strong. Within this trend, materials such as carbon fiber are gaining ground due to their characteristics. Power. The use of demanding processors in computer systems requires good thermal and energy management. Within this, a selection of components that do not consume a lot of energy and that do not produce a lot of residual heat is required. Cost. The latest technological advances used by UAVs help to reduce costs and avoid problems of obsolescence. Resistant. That they work reliably in any environment is key to UAVS. They must be designed to withstand extreme temperatures, shock, vibration, dust and even inclement weather. You can learn more about UAVs and their needs in the following document. Systems integrators and original equipment manufacturers need fast commercialization times, the possibility of personalization and, above all, profitability, whatever the environment in which they operate. his is possible thanks to the wide range of standard and customized configurations that it presents. It has a high degree of shielding thanks to a patented thermal spray process. It has thermal management. If you want to know more about Elesia's ESP solutions, click on the following link. The defense and aviation applications increasingly precise control software that helps them improve their capabilities. That is why, from IntelliPower have given the solution to the needs of the market in this regard. To do this, they have designed very powerful insurance applications, as well as communications software for UPS and power conditioning systems. Standard operating systems for secure insurance: for this action, they have designed the Secure Shutdown software that is available for Windows, MAC, Linux and FreeBSD operating systems. This software initiates a safe and clean shutdown of one or several users when events occur such as a power failure in the input, low battery or low capacity. SNMP. Managing, monitoring and controlling multiple IntelliPower devices from your local ethernet network and / or the web is possible through SNMP agent modules. You can learn more functions of the control software that IntelliPower uses in the following link. 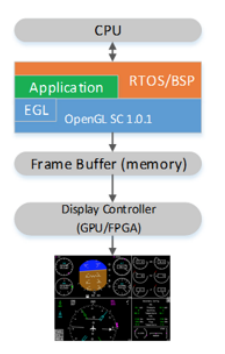 CoreAvi, thanks to its partnership with ENESCO AVionics, has been able to create a software processor OPENGL SC 1.0 critical security and certifiable for DO-178C. The IGL of ENESCO is ideal for critical security integrated applications such as avionics, industrial and defense, all thanks to a certain execution and a small library of space controllers. This software has been designed for graphics rendering environment without a GPU, obtaining a high-performance real-time graphic, thus achieving graphics quality far superior to other softwares in the market. Find out more about him in this link. The maritime system is in the spotlight. 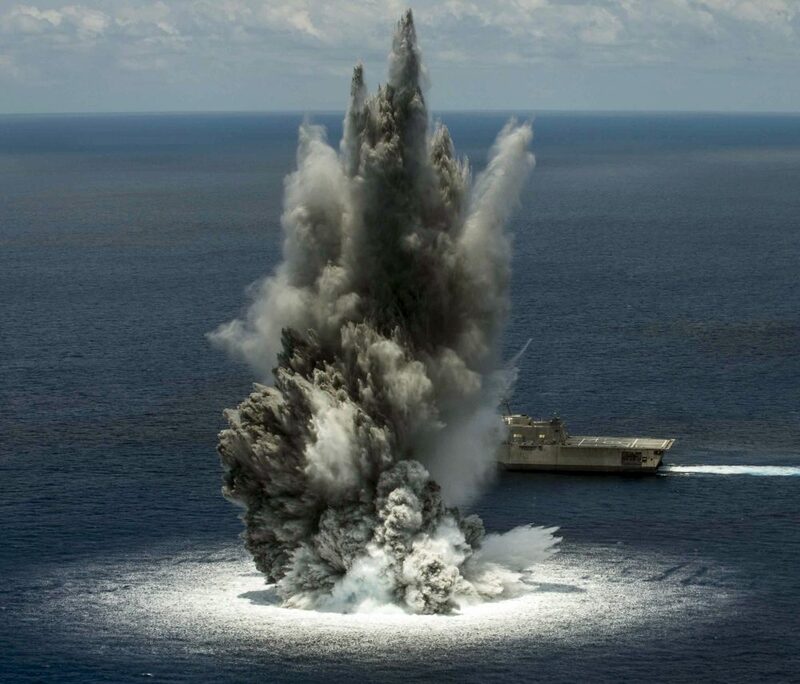 The growing tensions and global threats mean that the maritime zone is on everyone's lips. This makes it necessary to increase the preparation and capabilities of maritime services, an objective that can only be achieved through greater investment in advanced systems and platforms that are capable of addressing a wide range of operations. That is why the modernization of weapons and systems is an indispensable requirement if you want to improve the reliability and survival capacity, as well as obtain a competitive advantage over the rest. To achieve this, military standards are the key. MIL-S-901D is the ideal standard in this case. Its objective is to measure the crash test and the certification of maritime systems, including computer systems and critical electronic equipment, something that it has been doing for more than 30 years. It describes the environment that must be operated and the minimum requirements and functionalities that a system with these characteristics must have. All that had been specified enjoyed some flexibility, which gave rise to manufacturers experimenting, even questioning the objective of the standard, something that has helped this standard is updated. The new version, the MIL-DTL-901 is still not well known, but there are already several manufacturers that are implementing it successfully, being Crystal Group a clear example of this. This version of the standard is invaluable to guarantee the survival of the systems under normal conditions of operation, as well as in combat or in really adverse conditions. This is possible because the new standard goes much further and performs more rigorous tests, for example, the addition of detailed production and test procedures, extensive diagrams, tables of contents with links and provisions for ground tests. If you want to know more about this new quality standard for the maritime sector click on this link. ARM stands for Advanced RISC Machine and refers to processors capable of delivering great performance to the most advanced smartphones and mobile devices. The relentless advance of commercial mobile devices has meant that designers create faster and smaller processors that consume less and less energy and, at the same time, offer safe and complete computing. This combination can also be applied in applications for defense, aerospace and those that are built-up, applications that impose incredibly high demands. The processors of these must cover the expected performance of applications of this type, in addition to providing based on the severe restrictions of size, weight and power (SWaP) and cost, a fundamental factor since there are many budgetary pressures within the market. This last restriction means that system integrators have to make careful exchanges between performance, SWaP and cost. 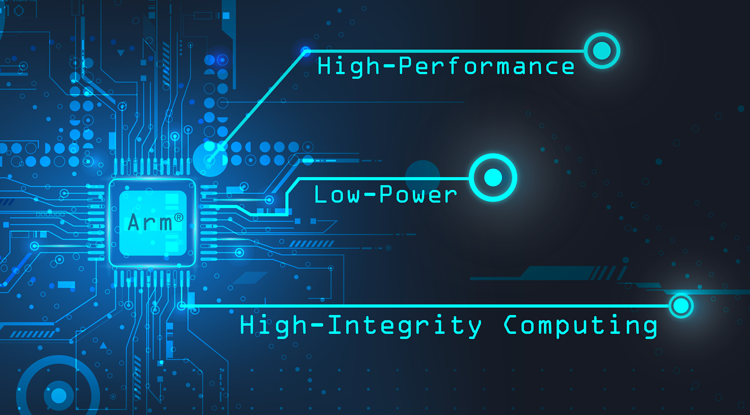 In short, ARM technology makes it possible for chip suppliers to develop 32-bit and 64-bit processors that work well beyond the required level, providing good performance using low power, low space and low cost, without it compromise the security of information. Discover more about ARM processors in this link. 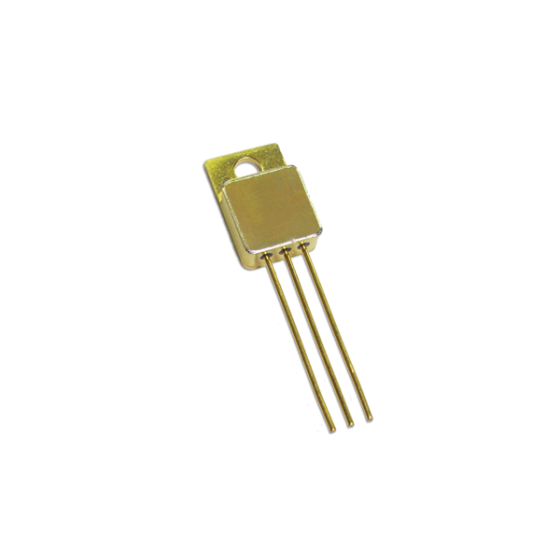 SPACHE-PHY is a MIL-STD-1553 Rad Tolerant integrated into a single package that includes dual transceivers and transformers and is now available in 3.3V and 5V versions. It is designed to connect through a built-in IP to a custom protocol MIL-STD-1553 ASIC. There are several benefits that can be extracted from SPACE-PHY. 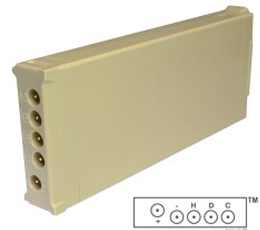 The first of these is its compact design saves space, so that its use replaces two transceivers and two transformers. Its appearance and design improves reliability but, in addition, its performance is very positive, providing a superior margin for MIL-STD-1553 compliance. Where can these benefits be practiced? The answer is very varied, since its use can be found in diverse applications: in military satellites as well as in research, as well as in the most commercial telecommunications. You can know more about this product in its technical sheet. 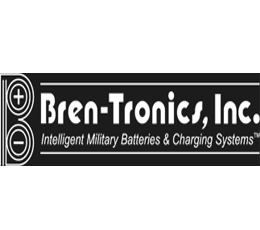 Bren-Tronics Inc, the American company of chargers, rechargeable batteries and lithium-ion systems that offers customized solutions for military and industrial applications, presents a new version of the universal portable charger for soldiers. 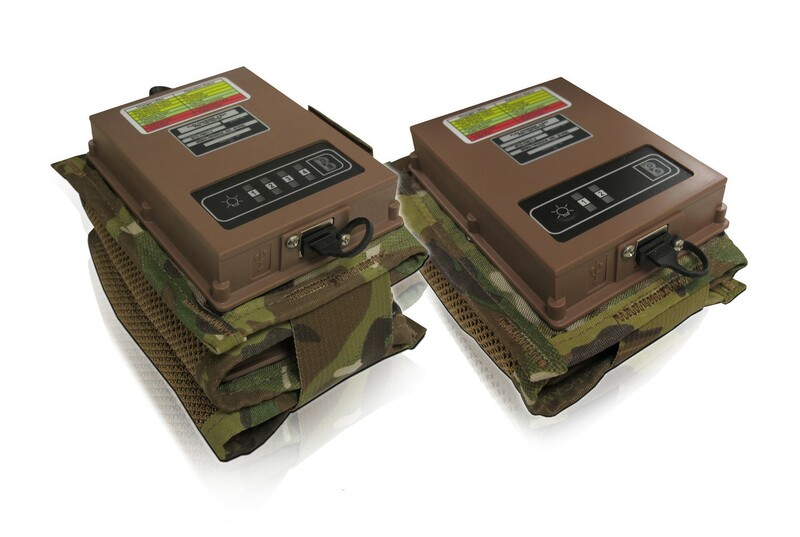 The new next-generation portable charger is a rugged military version of the SPC universal battery charger. With X90 adapter and AC and DC power cables, the product comes ready to simultaneously charge the two BB-2590 / U or BB-390B / Us batteries with an easy-to-follow LED lighting sequence. 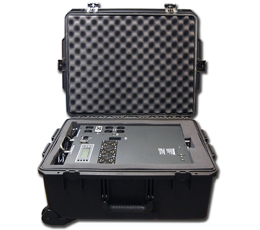 In this way, the new SPC Portable Lite Kit is specially designed for use in the field or warehouse to charge and maintain a wide range of military and electronic communication batteries. In addition, it includes a reconditioning function for the revitalization of the nickel battery or Li-Ion storage. For more information, consult the product's technical sheet in this link. More and more autonomous vehicles exist in the market. That is why its use begins to extend to a large number of sectors, one of them being the military sector. For these to work perfectly, according to the president and executive vice president of engineering of Crystal Group, decades of experience in the field of military computerized rugerizada have made it possible to transfer this knowledge to autonomous driving systems, so they are pioneers along with Intel® and OEM. Finally, these vehicles are characterized by great technological safety in what autonomous driving is concerned and is that the two manufacturing partners, highlight that the union of both has made it possible for safety to be the distinguishing feature in their products. 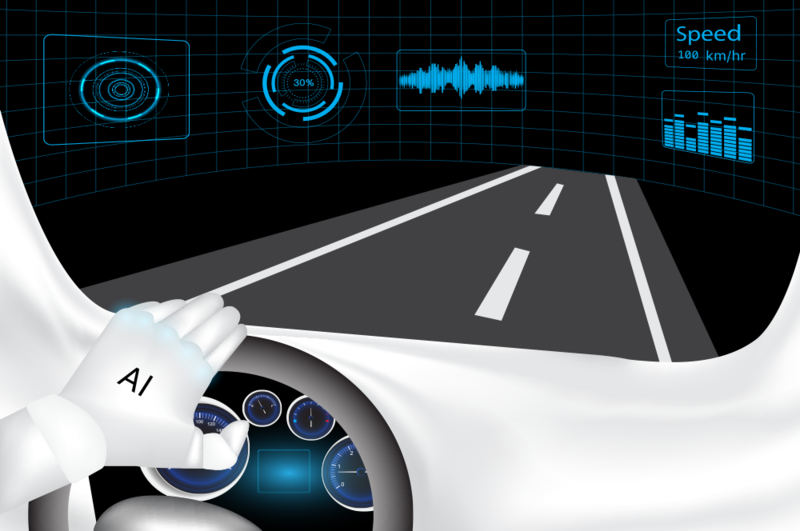 If you want to know more about how autonomous vehicles have evolved, click on this link. 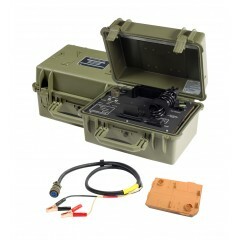 Bren-Tronics is a specialist in offering energy to missions and soldiers. One of the latest additions to the market is in a rechargeable battery designed for the Soldier of the Future: the model BT-70909. This rechargeable battery is Li-ion and is suitable to distribute and use modular energy. It has a higher energy density than the models BB-2525 / U and BB-3525 / U, specifically 210Wh / kg vs. 127Wh / kg and 316Wh / L vs 194Wh / L. Its certification in MIL-STD-810 and MIL-STD-461 demonstrate its effectiveness. One of the novelties that it contributes is the absolute state of the load indicator. Its light weight (0.48Kg) and its small size is another of the key points of this battery, since it adapts perfectly to the concerns of space and weight that customers have today. Finally, it is necessary to emphasize the wide range of temperatures in which it works: from -32ºC to + 60ºC the operation of the battery is the optimum one. If you want to know more about this rechargeable Bren-Tronics battery, do not miss the product file. Electron Source Co is a company whose core business focuses on the manufacture and distribution of products for the defense industry, as well as the aerospace industry. Voltage, frequency, current and three-phase sequence detection relays, as well as timers, are some of the products that can be found in its catalog, most of which comply the MIL standards. One of the strengths of Electron Source Co compared to other companies in the market is its ability to design and produce customized devices to adapt to the needs of each client. Another of the differentiating features of the company is the possibility of putting into operation products that are considered obsolete in the market, thus achieving that the useful life of these and of the devices that are complementary to them, is greater. You can learn more about the company's portfolio here. 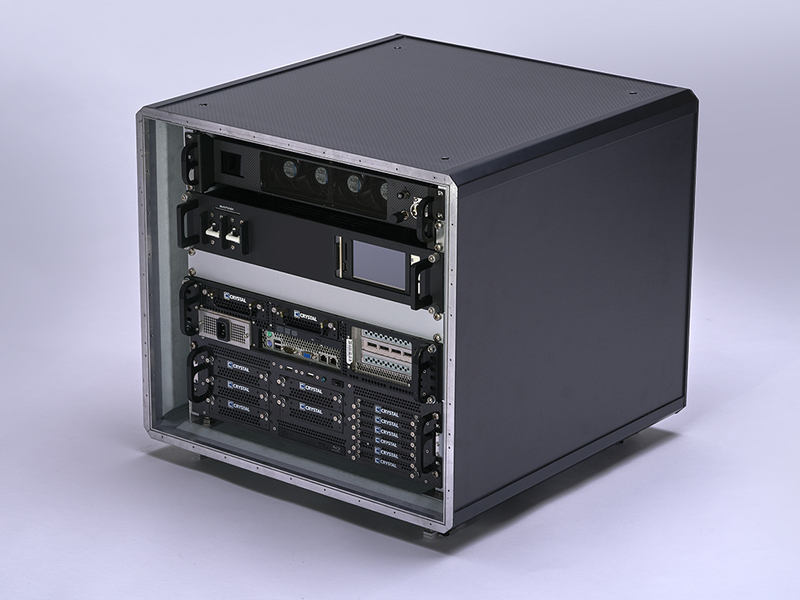 U.S. combat aircrafts have some needs and requirements that are well known by IntelliPower, so the company has developed three totally different versions of its UPS power conditioning briefcase. These new versions are based on the most traditional design of the briefcase, but providing different nuances, in such a way that it can be adapted to the needs demanded by the market, all without losing the reliability that characterized the initial unit of the briefcase. This briefcase has a light weight that makes it easily transportable, specifically weighing less than 23 kg. This robust and rugged system consists of a hard casing with wheels and handle, the UPS and the necessary accessories. One of its strengths is the possibility that users have to use the power system directly or, if they prefer, remove it from the case and install it where they need it. Designed with display module, they have front and rear connection port, which makes it really easy to use. Have you ever wondered what is a vibration test for the airplanes? Jim, from Crystal Group, explains in detail how they perform in their company. In the test, which is called MIL-STD-810, several methods of vibration are included, specifically 4, but throughout the information will talk about the first two, which refer to the operating vibration. 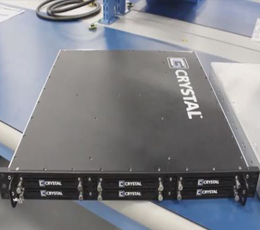 In the case of Crystal Group, they have combined several different categories, among the 25 different categories with their corresponding tests, so they achieve a higher standard of quality, besides obtaining a great amount of information about it. This information is used to manufacture more rugged products and to ensure safety in all its variants, since this point must be paramount when it comes to airplanes. If you want to know more about this technique do not miss the explanatory video of Jim, from Crystal Group. MIL-STD-1553 standard was published and coined over 30 years ago and is still used to test the quality standard in the avionics industry. This standard was initially intended to be used only in military avionics but has gradually been used in spacecraft with on-board data systems as well as military and civilian issues. 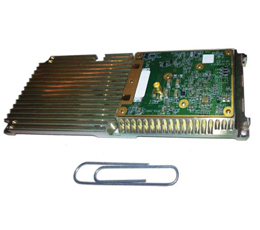 DDC fully complies with this standard, so that MIL-STD-1553 is integrated in its assortment of cards and components in order to improve data conversion needs and its interface. 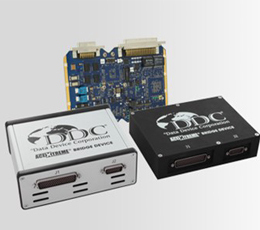 DDC's data bus board systems, in relation to MIL-STD-1553, are dedicated entirely to integral elements of avionics, military and industrial applications. Within the broad line of military components can be highlighted microprocessors, PCI buses and simple systems. In addition, these solutions are designed to be applied globally in aircraft, helicopters, unmanned aerial vehicles and missile programs. You can go further in this topic in the following link. It is becoming more common to see how weight, size and power (SWAP) demands proliferate within the aeronautical sector. Small aircraft with limited space available have made it possible for micro data link systems to go more and more, but now, in addition to these features, a low price is also required. COMMTACT Ltd. has put on the market a system of micro links (MDLS Micro Data Link System) that perfectly fulfills all these requirements. The MDLS system is cataloged as ultra compact and ultra light, and adapts to the smaller aircraft. Moreover, as a bonus, it has low energy consumption and is incorporated with interfaces for digital signal processing. Finally, this system meets the most demanding environmental conditions for applications where resistance to shock, vibration, etc. is required. For all these reasons, the MDLS system is suitable for small UAVs, as well as for a large number of platforms that require a small tactical communications system. Learn more about this product and its features here. Do you know the differences between industrial and military servers? Jim, from Crystal Group, tells us. These two types of servers are very similar, so they share the same essence, although the military server is considered more resistant than the industrial one because of the challenges it faces. Another similarity is the temperature range in which they operate, both from -40°C to +55°C. However, the industrial server is designed to operate in favorable environments while the military server is designed to work perfectly in critical and hostile environments. The last difference between the two servers is the type of standards used to rate each one. Industrial servers receive IEEE or IEC specifications or FCC qualification, while the military server is regulated byMIL-STD-461 for EMC and MIL-STD-810 for environmental testing. To know more about the differences and similarities between both servers do not miss this explanatory video. DDC has recently announced its alliance with North Hills, a partnership created with the aim of improving the capacity of transformers. 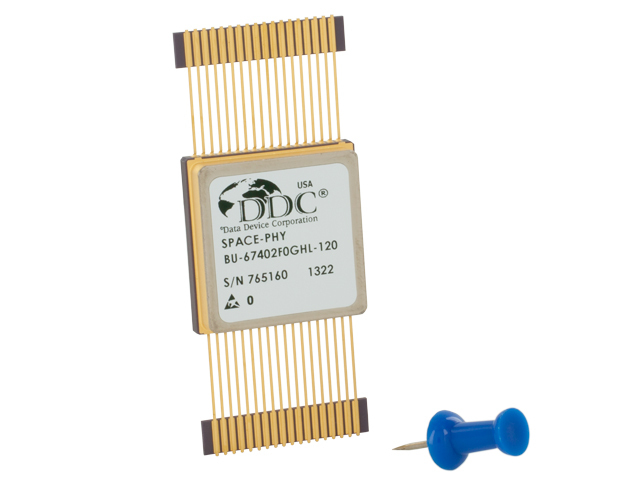 DDC is a company that is known for its high reliability connectivity, power and control solutions for sectors such as aerospace, industrial and defense. 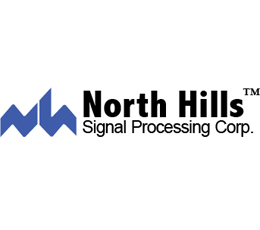 For its part, North Hills is a leading provider of connectivity and measurement solutions, as well as being the leading manufacturer of MIL-STD-1553. 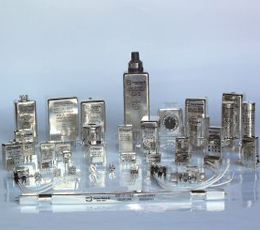 Since 1953, North Hills has been recognized as a leading business in broadband video and RF transformer, offering superior performance in its products to other manufacturers in the market. Thanks to this know-how, the collaboration between the two companies enables DDC to greatly expand its technology portfolio and improve the capacity of its transformers. If you want to know more about how the alliance between DDC and North Hills will affect the industry, do not miss the next press release. To improve communication between man and machine within avionics, the company Elesia has designed a very novel human-machine interface. Under the name of HMFLI, this system is designed to improve man's relationship with aircraft and / or helicopter applications thanks to the ability to interact through multiple functions with the console and other subsystems. This unit is fully designed to meet the needs that are demanded in avionics because it is designed taking into account shock, vibration, possible extreme changes of environmental conditions. This solution is based on COTS and is completely cusomized, there being no other similar in the market. Elesia's HMFLI has a CPU card, an Ethernet switch, memory and 2 properly separated power supplies. To know more about this interface for avionics created by Elesia take a look at the product details. HOMSEC, the International Trade Fair of Technologies for Security and Defense, opens its doors again in Madrid. 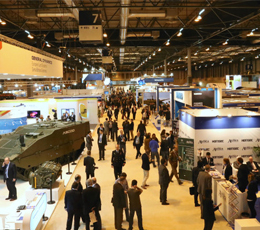 The Spanish capital will host the latest developments in the defense and security sector from 14 to 16 March at the IFEMA fairground. This fair, which is considered one of the most important in the sector at international level, enjoys a large influx of public and national and international exhibiting companies, all with an aim: to know the latest technologies that have appeared within the security and defense in all its aspects, both public and private level and also to make contacts between customers and suppliers. Such is the magnitude of the event that from Donalba we do not want to lose it. For this reason, we will attend the fair as visitors in order to create professional synergies, keep abreast of the latest innovations and thus offer more accurate solutions and products. What topics are covered in Homsec? Beyond what one may think, Homsec deals with themes of very different nature, which makes it one of the most representative fairs in the sector. Undoubtedly the defense and the military sector are the strengths of this fair. Many companies are working to improve the defense of countries as this field covers a great number of different disciplines In Donalba, we have in our line card diverse companies that collaborate in it and that cover much of the needs of defense. 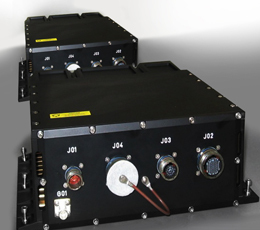 One of them is Commtact, with its datalink solutions for the military sector. On the other hand, we have the power supply solutions from Market Power and batteries and military loaders from the company Bren Tronics. One of the highlights of this fair is security and surveillance issues, such as intrusion detection, border surveillance or security in a specific perimeter. One of the companies that makes all this type of products to improve the surveillance is our represented Controp. CoreAvi (which is also in our line card) collaborates in the field of surveillance thanks to its know how in real time graphical controllers, a service that helps with security and detection in the present. UAVs are becoming more and more fashionable, and their scope of action is increasing, so they deserve special mention. UAVs, beyond the particular use that can be given to them, can be used for defense and security issues, all of which are adapted to the small size they have and the autonomy they need. One of the leading companies in this sector is Commtact, one of our represented. 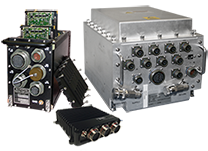 The core of its business is the manufacture and distribution of communications systems for unmanned vehicles. Throughout these three frantic days, IFEMA will be filled with exhibiting companies that will present their latest advances and there will be talks that will help to create awareness and the need to invest in defense products and services. If you want to know the program of HOMSEC and go to the fair, do not miss the information that you can find in the official website of the fair. CGC is a company whose core business is in the tracking antennas.After research and testing time came up with the XY technology, a technology particularly suitable to improve the capacity and performance of the tracking antennas. This high precision technology is linked to ground station systems that have a wide range of radio frequency optics including both main approaches as a frequency selective. All this is integrated by COTS to the equipment and can be fully customized to adapt to the needs of each base. There are many and varied benefits and applications of this technology: monitoring and control software with a wide variety of interfaces to use, image processing, network and data storage systems, product dissemination software ... all in order to give support to all kinds of missions and, the best thing, being these very simple to apply and to use. 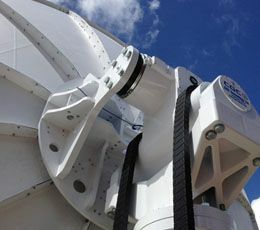 Within the X/Y technologies for tracking antennas that CGC has created, there are several varieties that are more adapted to the needs of users in each situation, one of them being the antennas for full monitoring of the hemisphere, with openings up to 7.6 meters. To find out more about this technology read the full article on this link. United States Navy, in order to strengthen itself, has acquired a new battery charger especially suitable for the military sector. This investment is part of the Marine Corps Systems Command (MARCORSYSCOM) 2016, a strategy with which the Navy wants to be acquiring new material to enhance their skills. In this case, the acquisition of this advanced battery for the military environment promises to transform the operative capacities of the energy that users use in the field. To achieve this battery, the Navy has relied on Bren-Tronics, a company with which it has signed a four-year contract for a total value of up to 38 million euros. Improvements in size, weight and efficiency. The Bren-Tronics charger is smaller, manageable and easy to transport, all providing excellent power, faster charging and greater environmental survival. Designed to charge present and future batteries, from tactical platforms such as robots. Finally, it accepts multiple universal AC power inputs. To find out more about this charger, take a look at this news. The term UAV is increasingly on everyone's lips but really, what is meant by UAV? 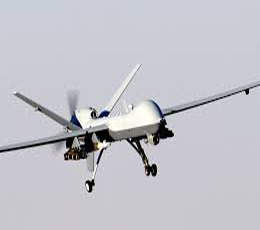 UAV stands for Unmanned Aerial Vehicle, also known as dron. There are two features that define the UAVs. The first is their ability to be reused because, unlike missiles, these may have more than one use. The second feature, and probably the most defining UAVs, is the autonomy they have to maintain a controlled and sustained flight. You've probably heard a lot about UAVs, because use of drones has exploded in recent years. Whether for business and commercial purposes, more and more users surrender to the benefits that can be obtained with the use of UAVs, but the truth is that there is a field in which its use is fundamental: the field of Defense and security. 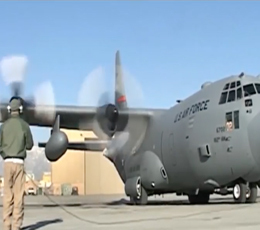 Support in surveillance and search missions. Surveillance in the security of multitudinous events. Even now, it is being tested that some types of UAVs can fire in case it may be required in certain situations. 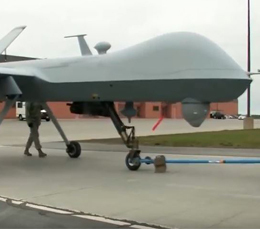 These are some of the activities that UAVs can perform for the security and order of a state. In order to do all this without any problem and with the best accuracy, the UAVs have to be developed with materials and systems tested to the millimeter that can give the aircraft a great reliability. For this, the best thing to do is to have the best service providers, in at least three key aspects: optical sensors, power supplies and communications, three points that we will analyze below. The optical sensors, or payloads of the UAVs, are responsible for taking, storing and transmitting the images that are captured from the UAVs. Its importance is very high, thanks to them; the UAVs can perform tasks that have to do with search, security and recognition. One of the companies that stands out in this field is Controp. Controp has designed camera payloads that allow focusing on short, medium and long distance, thus adapting to the needs that each UAV should cover. In addition, these payloads are different from the rest because of their low weight and high effectiveness, two features that make them essential to be part of a UAV. Quite recently, Controp used these payloads in a UAV for monitoring the Olympic Games in Rio. A UAV is obviously autonomous but, despite this autonomy, it is necessary to recharge energy and for it, nothing better than a power source. In charge of giving enough energy, power supplies are another of the main points to consider in a UAV. To be really efficient, power supplies must allow charging anywhere and in any situation, even if it is complicated. A benchmark company in this field is Bren-Tronics, a company which specializes in power supplies in difficult situations. Besides, Bren-Tronics is a trusted supplier for defense departments, so it meets all the standards expected to include its batteries in UAVs for defense. All that we have mentioned is not very useful if you cannot get reliable communications that manage to transport all the information quickly and, most importantly, without errors. For this, it is necessary a powerful data link that transports the information collected by the UAVs to a control point where this information is studied. Currently, one of the most recognized and reliable manufacturers in Data Link is Commtact. Its Data Link solutions are specially designed for the military sector and border surveillance, among others and they can be used in UAVs. To ensure that communication is fully effective, they have everything you need: x / Rx, RF modules and antennas. 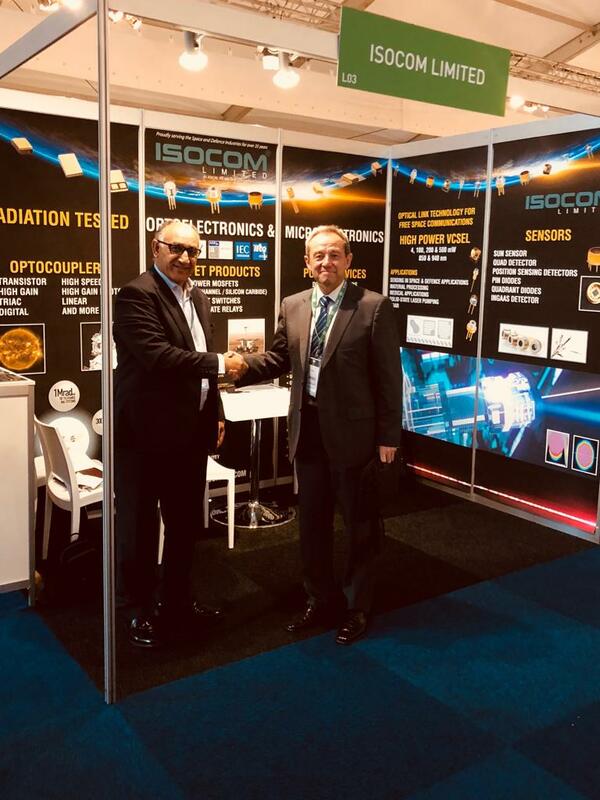 Controp Inc., one of our represented companies specializing in electro optics, has recently introduced its new gyro-stabilized camera: ISEA – 10U. This camera is specially designed to be transported in different types of marine systems, from special operations units to speedboats, not to mention the USV's (Unnamed Surface Vehicles) that are so fashionable. This product line has much acceptance because of its light weight, gyro-stabilized camera and good performance, in addition to competitive prices. Although all these characteristics are highly valued, the gyro-stabilized camera is the most outstanding. This camera can detect really small boats, something very useful in the naval field for observation and surveillance. Another one of the strengths of this camera is the possibility of including a video tracker. It can also improve video images frame by frame, something that previously could only be done with larger camera systems and more charge. Donalba family of represented companies grows with the incorporation of CGC Space. CGC Space is located in the UK and its main business focuses on tracking antennas. With a high level of specialization, the company is responsible for the whole process: from the construction of the antennas to its installation, in addition to its full support. With this, CGC Space offers a complete solution all over the world, even in extreme environments such as the Arctic and the Middle East. The high precision antennas highlights among its products. These antennas have a size of 1,8 to 10 meters and complete ground stations specially designed for communications and “Remote Sensing”. To know more about CGC and its activity, take a look at the official website. Donalba family of companies grows with the incorporation of Commtact Datalink Solutions. 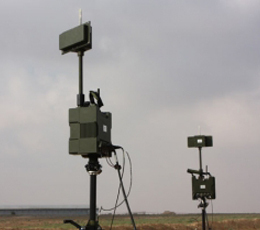 Commtact is a company specializing in the development of systems for the military, the border surveillance and even the commercial applications. Its systems can also be used in piloted aircrafts, UAVs, ships and land vehicles. The company offers a wide range of products that provides a large number of solutions to different fields. Among its most prominent solutions, Commtact includes complete solutions for Data Link:Tx/Rx, RF modules and aerials. If you want to have full knowledge about our new represented company and know its products and the services that provides to meet market needs, visit its official website.